Home > Mobile-Tips > Oneplus > How to take a screenshot on OnePlus 5T Smartphone? How to take a screenshot on OnePlus 5T Smartphone? Here you will learn that how to capture screenshot from your OnePlus 5T Smartphone. Do you have One Plus 5T? and want to take screenshot for banking transaction, chats or others to share with your friends and family. Here our simple procedure to complete this step. Screenshot is best and useful option of any Smartphone to share your content with your friends and colleagues. First decide which content you want to capture as image from your mobile screen. Bring up the content and follow given below steps. 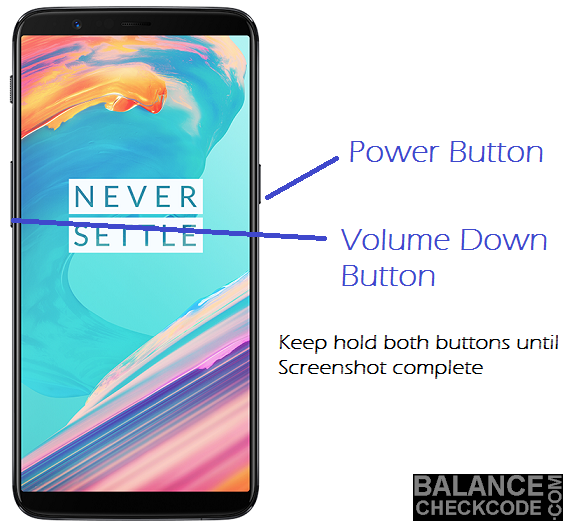 In your OnePlus 5T - Hold the Power key and Volume Down buttons at the same time, until you see the screenshot animation on the screen and camera shutter sound. Now you will see a notification that image has saved in your screenshot folder. Ensure your Google virtual assistant downloaded and installed in your phone, and make sure that Google voice activation is on. Find the content you wish to capture. Your Google virtual assistant will then take the screenshot, and you can edit and share to your screenshot from photos "screenshot" folder. Find the content that you want to capture. Hold down the Power and Volume Down buttons at the same time, until you see the screenshot animation on the screen. A toolbar will appear at the bottom of your screen, tap the button that resembles a phone screen. Your OnePlus 5T will then automatically scroll down and capture the whole page in a screenshot.